If you hadn’t already noticed, Valentine’s Day is fast approaching. Local stores have swapped the green and red of Christmas for the pink and red of Valentine’s Day. Heart shaped items and teddy bears are cluttering their seasonal shelves. If your wallet still hasn’t quite recovered from the holiday season, no worries – you can still give that someone special a little something special thanks to cheap and easy Valentine’s Day DIY gifts like this one. 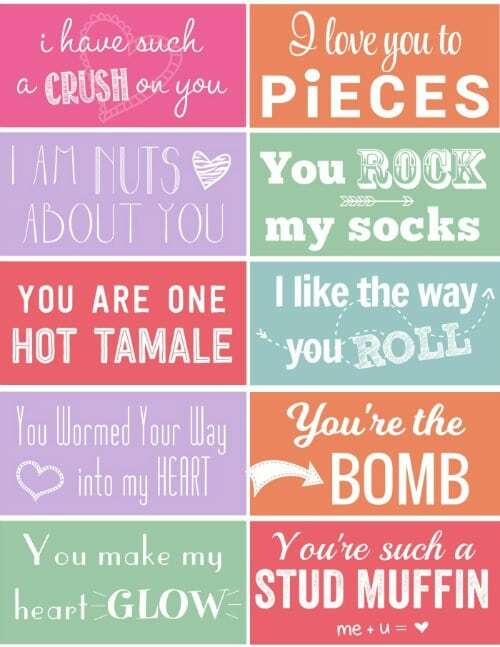 Valentine’s Day DIY gifts are the perfect way to say “I love you” without breaking the bank. This gift in particular is perfect for someone that isn’t crazy about chocolate but still enjoys a sweet treat. 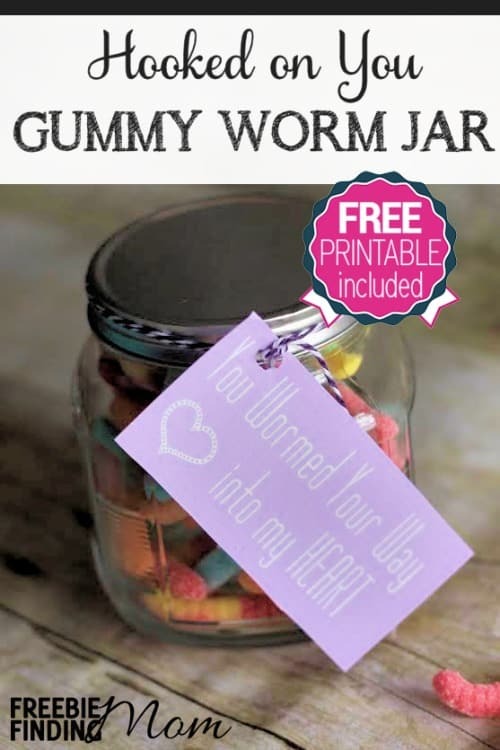 Note: Use one of the 10 free printables (I recommend the “You wormed your way into my heart” tag) provided for a gift tag or write your own little love note to add an extra personal touch to this Valentine’s Day DIY Gift. 1. 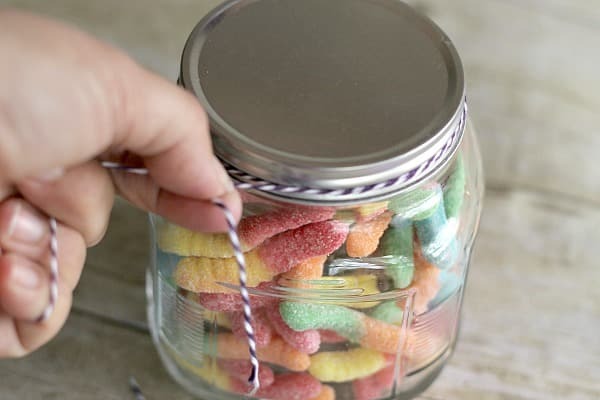 Pour gummy worms into the jar. 3. Print the printable gift tag on cardstock then punch a hole in the corner and thread the tag onto a piece of twine. Note: You could substitute ribbon for twine if you have that on hand. 4. Wrap the twine around the lid 2-3 times. That’s it! 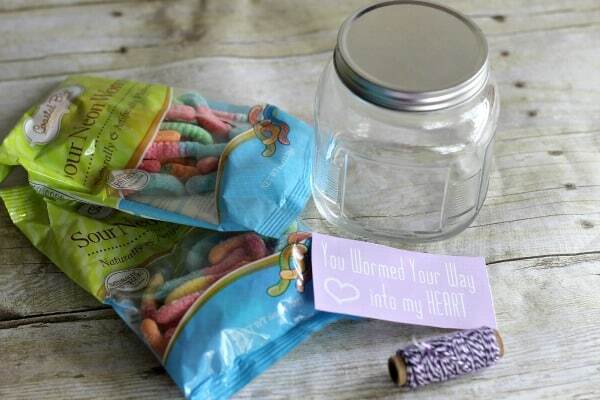 Don’t be afraid to get creative with this Valentine’s Day DIY gift. 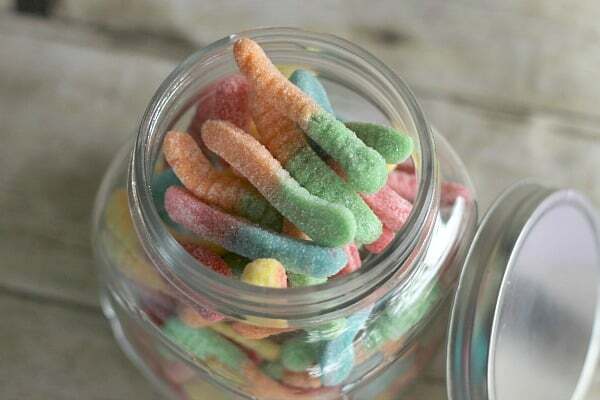 If you aren’t crazy about the “hooked on you” metaphor of the gummy worms, they can easily be swapped for gummy bears or fish.